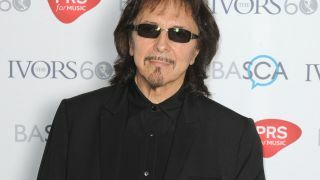 Tony Iommi has announced that he plans on remixing Black Sabbath’s 1995 album Forbidden. It was the band’s 18th studio recording and the last to feature vocalist Tony Martin. It celebrates its 20th anniversary this year and Iommi wants to take another look to bring it up to scratch. Iommi is one of the mentors on TV talent show Guitar Star which is currently running on Sky Arts in the UK. The band are expected to bring their career to a close next year, with frontman Ozzy Osbourne suggesting a final album and tour are on the cards.